Marcel was the number 4 player in the USTA 18 and under division and number 1 in the Boys 12’s and 18’s in the USTA Eastern Section. He was a 4-time All-American for UCLA from 1979 to 1982. He played number 1 on the UCLA team his senior team, was ranked number 1 in the nation and was named the ITA Player of the year in 1982. He was also a member of the US Junior Davis Cup Team. In 1985, he won the Nancy, France Men’s Doubles tournament with teammate Rodney Harmon. His best Grand Slam result was reaching the 3rd round of the 1986 US Open. Freeman had wins over Stefan Edberg, Harold Solomon, Tim Mayotte, Ilie Nastase, Johan Kriek and Peter Fleming. He reached a career high world singles ranking of number 46. He was inducted into the ITA Hall of Fame in 2012 and the USTA Eastern Section Hall of Fame in 2016. Marcel served as Chanda Rubin’s coach and helped her reach number 6 in the world. He also coached Lindsey Davenport, Mark Knowles, Janet Lee and Martin Blackman. He lives in Hollywood, California and teaches tennis in Beverly Hills, California. Martin Blackman first rose to prominence as one of the best juniors attending the Nick Bollettieri Tennis Academy, where he played with Andre Agassi, Jim Courier and David Wheaton. He reached the semi-finals of the US Open Boy’s 16’s where he defeated Michael Chang and Petr Korda. Blackman reached the doubles semi-finals of the tournament with MaliVai Washington. He won the 1986 USTA Boy’s 16 National Championships in both singles and doubles (where he partnered with Michael Chang). 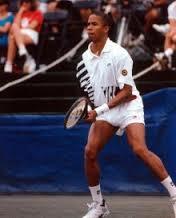 He was a finalist in the USTA Boy’s 18’s National Championships in 1986. As a student at Stanford, he was a member of two NCAA Championship teams. He played on the professional tennis tour for seven years where he reached a world high ranking of number 158. He became the coach of American University in 1998 and, during his time there, he was named Conference Coach of the Year three times. Blackman led the team to three conference titles, two NCAA appearances and their first national ranking. In 2004, he became the Director of the Junior Tennis Champions Center in College Park, MD. He led the center for five years and helped them identify and develop some of the best juniors in the country. Blackman served two terms on the USTA Board of Directors from 2003-2004 and 2005-2006. However, he made history by becoming the first African-American to be the General Manager of USTA Player Development where he leads the US’s efforts to recruit and develop the next generation of American professional players. He has contributed to the growth of tennis in the Black Community through his efforts to identify and develop some of the best Black players in the country. In 1984, Bryan Shelton won the Alabama High School singles championship. He played on the tennis team of the Georgia Institute of Technology in Atlanta where he won the 1985 Atlantic Coast Conference (ACC) title. Also in 1985, he won the US Amateur Championships. Shelton and Ricky Gilbert were ACC Doubles Champions in 1986. In 1988 he was named All-American. Shelton graduated from Georgia Tech with a BS degree in Industrial Engineering in 1989 and was inducted into the Georgia Tech Athletics Hall of Fame in 1993. Shelton won the 1991 and 1992 Newport Hall of Fame Championships and reached the Mixed Doubles final at the 1992 French Open partnering with Lori McNeal. He reached the highest world ranking of 55 in singles in 1992 and 52 in doubles in 1994. 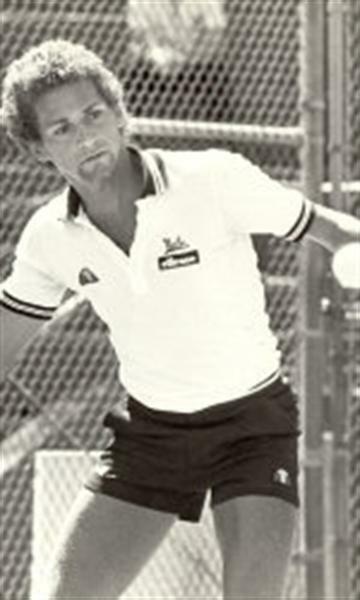 He retired from the pro tour in 1997 and became a USTA National Coach from 1998 to 1999. In 1999 he became the Head Coach of the Georgia Tech Women’s Tennis Team. He was named ACC Coach of the Year and 2002, 2005 and 2007. His team won the 2005, 2006 and 2007 ACC Championships. In 2007, the team won the NCAA Women’s Tennis Championship by defeating UCLA in the finals. Shelton was named the Intercollegiate Tennis Association (ITA) Coach of the Year in 2007. 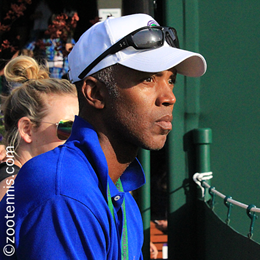 He has been the University of Florida Men’s Tennis Head Coach since 2012.